3780Link for Wal-Mart EDI is a simple, reliable and proven solution for exchanging EDI data with Wal-Mart. 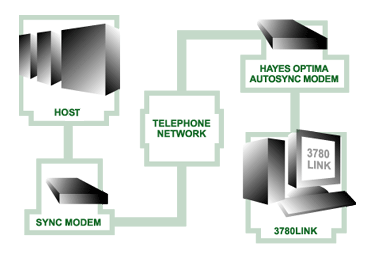 This one package includes everything you need to communicate with WalMart, including 3780Link software, Wal-Mart EDI Add-On, Hayes Optima AutoSync modem and 5' modem cable. After you receive your 3780Link for Wal-Mart EDI package, you can start sending and receiving files within a few minutes. You don't have to know anything about protocols and commands, simply install the modem, install the software, run the setup wizard and GO! We stand behind our products with free telephone and email support as well as a risk free money-back guarantee. Click the link below to order today. Note: A separate application is required to translate EDI files. Wal-Mart is a Registered Trademark of Wal-Mart Stores, Inc. Use of the Wal-Mart name on this web site does not imply any specific endorsement by Wal-Mart Stores, Inc. for 3780Link.